A mini cut is unsurprisingly a miniature version of a cut. It is a short period of time where you are dieting. How long are they? 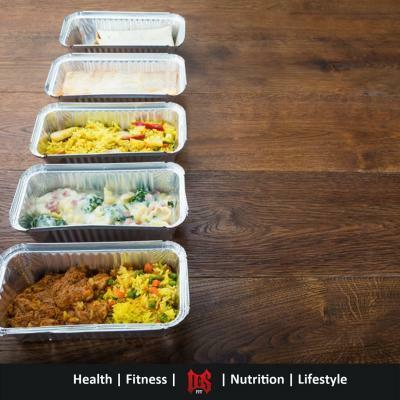 Normally between 4-6 weeks anything longer is simply a regular diet and below is just a random period of not eating as much. 4-6 weeks may not seem long but is enough to see some pretty dramatic changes in body composition. 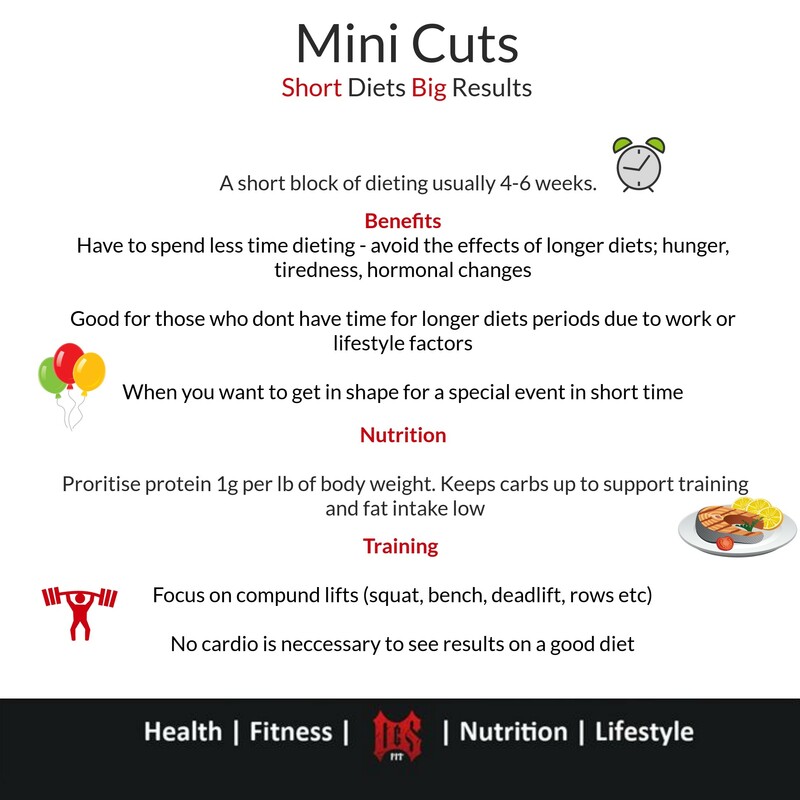 Due to the short nature of mini cuts it is possible to diet much harder than you would during a regular cut. Why is this? 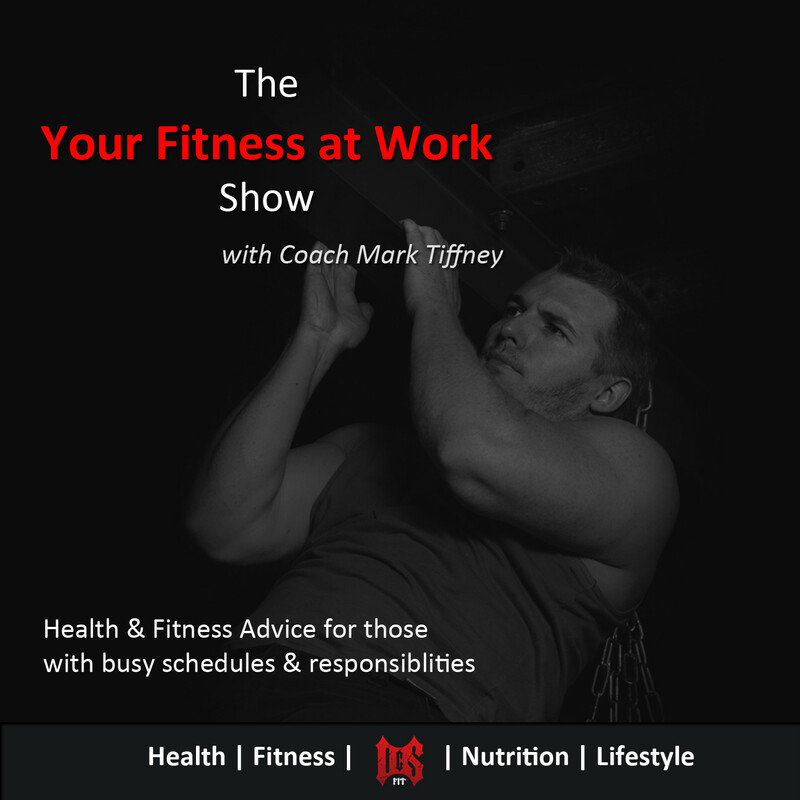 Because due to the short time period we don’t have to worry about the metabolic slowdown that comes with extended periods of being in a calorie deficit. Why do a mini cut? Why could you benefit from a mini cut over a more normal longer and less aggressive diet? Well there are several benefits to them. The first and probably most obvious is you have to spend a lot less time dieting. 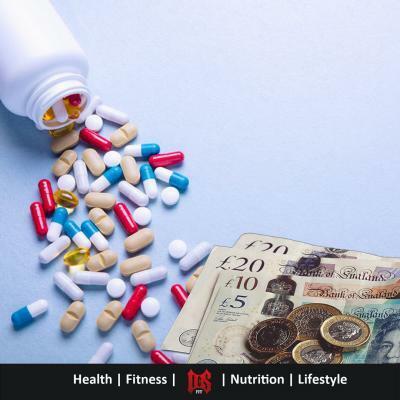 We all know that losing weight isn’t all that fun and if we don’t have to diet for a long period of time that’s all the sooner we can get back to eating at regular maintenance calories and not dealing with the unpleasant effects of being at a calorie deficit (hunger, tiredness, hormonal changes etc). There may also be times when spending 12 weeks in a diet is not practical for some people. People who have especially busy periods with work, university or family certainly don’t want to be trying to lose weight through these times (adding the stress of dieting on top of life stresses is never a good idea) but may have short blocks of time where they can fully commit to their diet. Those who have a holiday or special event coming up and want to look their best can also reap good results in this shortened time-frame. How do you go about doing mini cuts? Well you’re going to have to set yourself into a calorie deficit. How you go about this is up to you but here I will show how to set up a deficit based on calories. First, we want to work out what your maintenance calories would be. Maintenance calories are the amount you would need to consume to neither lose or gain weight. To do this take your body weight in pounds x 13 to 16. If you are train heavily multiple times per week/ have an active job/ low body fat % sub 15% for men sub 25% for women, you will want to use the higher end of this so x 15/16. If you have a low training volume/ are sedentary/ have a high body fat percentage over 15% for men and over 25% for women you will want to use the lower end 13/14. As an example, I am 210lbs and train multiple times per week and have fairly low body fat so my maintenance diet would be 210×15/16 = 3150 to 3360kcal. So now we have a good estimate of what maintenance calories should look like. 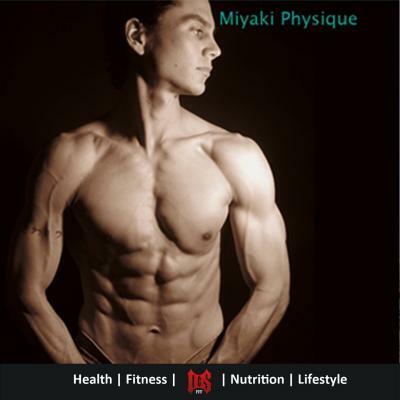 To create the appropriate deficit, we will base it on percentage of body-fat. So again, taking me as an example we would take my bodyweight of 210lbs and my bodyfat percentage which falls within fairly lean. So, we find 1% of 210 which is 2.1lbs. We multiply that figure by 500 which is 1050. We take this away from our maintenance calories so 3360-1050 = 2100 to 2310kcal would be approximately my calories for my mini cut. What should our nutrition look like while we are doing mini cuts? Well first off we want to set out protein intake. A very simple rule for this is one gram of protein per lb of body-weight. This works for 90% of people however those who have a higher body-fat percentage would probably not need as much as this so if a 240lb male had 30% body-fat he would not need 240g of protein and 200g would be plenty. When it comes to setting fat intake we want to go for around 0.3g per lb so for me this would be 0.3×210 = 63grams of fat. Again those who have a higher bodyfat can drop this slightly lower. Now since I am assuming you are following a resistance training program which you most definitely should be we will want to bias more to carbs than fat. This is why fat intake has been set fairly low and we will take the reminder of our calories as carbs. Protein and carbs both have 4cal per gram and fat has 9cal. So to work out carb intake for me this would be 210×4 = 840 for protein + 63×9 = 567 for fat so we have used 1407cal. The remainder is 2310-1407 = 903cal for carbs which is around 225 grams of carbs. How should you train doing mini cuts? I won’t go into a full breakdown here you can check my article on training for fat loss here . Suffice to say it should not be radically different to how you would train to build muscle. Mostly lifting in the 6-12 rep range, prioritise bigger compound lifts and let your diet create the calorie deficit and train to retain muscle. Who shouldn’t be doing mini cuts? There are some people who should not engage in a mini cut. If you have already been dieting for an extended period then it is more than likely that you have a high amount of diet fatigue. Diet fatigue comprises the increased hunger, lowered metabolic rate, low energy levels etc, that accumulate when we diet. If this is you, you would be much better taking a full diet break to refuel yourself before committing to a mini cut. Anyone with a history of binge eating or other eating disorders should also not be undertaking an aggressive style of diet like a mini cut. The fast-aggressive nature of them is not a good idea and you will have much more success with the traditional style of dieting and avoid any potential slip ups. 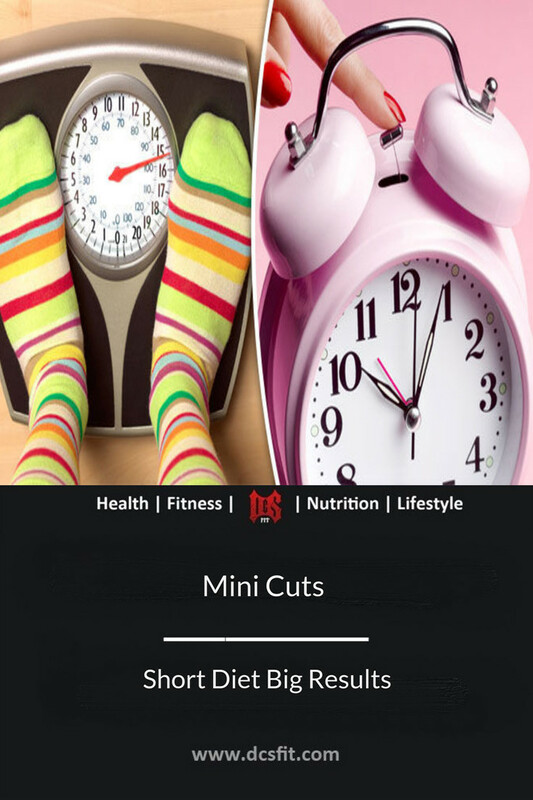 Mini cuts are by nature stressful as I said earlier if you have high life stress already you should not be considering these as your path to weight loss success. We have a limited amount of resources and if we are already depleted by our everyday lives further draining that pool with a diet will likely leave you burnt out and no closer to your goals. We cannot choose our circumstances only how we deal with them, don’t go for what looks like the quick option only to leave yourself back at square one. Choose the option that will deliver you success even if that takes a little bit longer. But before you even begin to implement any level of change, you need to have your head in the right place in order to proceed in a manor that will be successful. So, grab your free guide to doing just that and get ahead of the game before you even start by clicking right here. Is this something you’ve tried before? Or if you do try it out, come back and let us know how you got on in the comments.